No, that doesn’t mean that my beer spoiled. What it does refer to is the notion that in reviewing a lot of beer writing and commenting on the web, it seems to me that a lot of people have been spoiled by all the great beers and ales we have available today. With so much diversity, quality, hype and analysis of today’s products, it seems easy for the beer novice to be quickly overwhelmed—even intimidated—by technical jargon, detailed style descriptions, historical references and expert opinion. 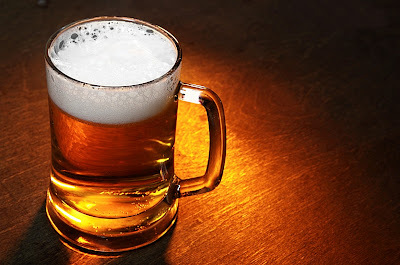 While all of those things certainly have value for anyone who is truly interested in beer and beer culture, I’m not so sure they are absolutely essential for the simple enjoyment of beer. After all, I’ve often felt that the only beer that really matters is what’s in your glass. Will I be able to coherently and accurately describe my smell and taste sensations to others? Will my descriptions and opinions be in line with those of the acknowledged experts? Can I provide compelling and expansive discourse on regional styles, local breweries, and hop varieties? Will I be able to count some of today’s “rock-star” craft brewers as being among my personal friends? Have I tried this style, or that one? On draught, or in a bottle? Indeed—will I ever be able to taste every brand of beer and ale that is currently available, so I can rightfully claim to have knowledge of every beer made? It’s so damn hard when they keep opening new craft breweries! Of course, while those are interesting questions for people who desire to be true scholars of beer, they may be overkill for the average person who is simply seeking to understand what makes up a good beer, how to serve it and how to enjoy it. A little perspective can explain what I mean. I’M OLD. I NEED SESSION BEERS. THE PERFECT PUB. OR NOT.